How can I attach a tripod to my backpack (Lowepro fastpack 350)? I was wondering whether there is a better alternative than this ? When your backpack has compression straps on the side — as these have —, I find these not just immensely useful in keeping the gear in shape, it also holds a tripod very well in an upright position. Which is in my experience a lot nicer when moving in cities, especially public transport. Just slide it between straps and the back pack, then pull tight. It kind of works. Don't know if you can pimp your Lowe backpack to do this. Not the answer you're looking for? Browse other questions tagged tripod camera-bag or ask your own question. Is the bag in the Manfrotto 7320YB M-Y Compact Tripod Kit with Ball Head/Backpack/Gear Bag bundle weather proof? How does a tripod attach to the (front of the) Lowepro Pro Roller x200? 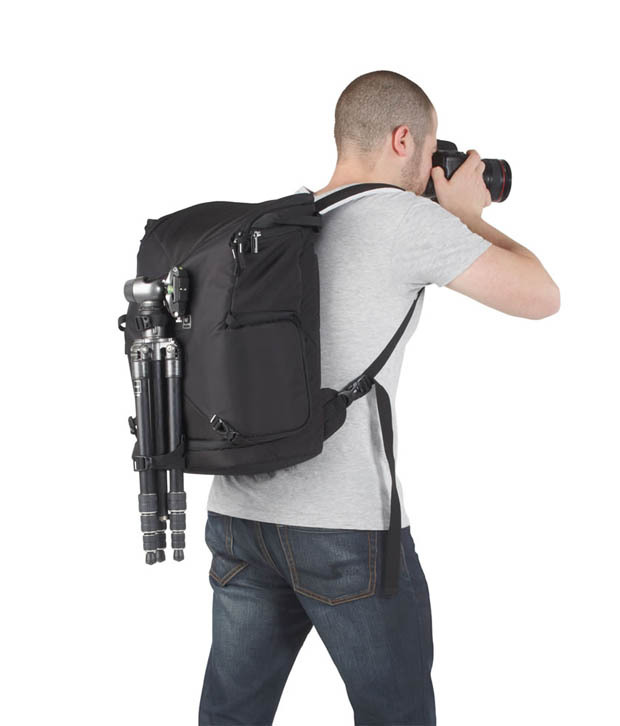 Is there a small camera backpack that can hold a tripod and four lenses? How can I attach a lens without a collar to a tripod? What camera bag will carry a couple telephoto lenses for wildlife while still remaining relatively compact? How good is the Lowepro Fastpack 250? Best camera backpack with these criteria? Is Lowepro SlipLock system compatible with MOLLE?